2004. .15. 1. . 72–80. Angular Pressing by Experimental and Numerical Methods // Mater. The Japan Institute of Metals. cracks and inhomogeneities in billets processed by ECAP // J. Mater. Sci.
. 2003. 2. . 4–16. P.Gilormini. Elsevier Science B.V., 1997. P.71–80. Processing. Theory, Methods and Applications Ken-ichiro Mori (ed.) Publisher: Swets and Zeitinger (Nether lands), Lisse, 2001. P. 351–355. Cockcroft M. G., Latham, D. J. Ductility and Workability of metals // J. Inst. Metals. 1968. V. 96. P. 33 – 39.
. 1998. 1. . 68–72. j. Eng. Ind., 1979, 101, 36–44.
. 2011. 7. . 17–22.
. P. C. SFTS. Key#9190/ Ufa, Russia. The processes of plastic structurization in metals/ V.M. Segal, V.I. Reznilov, V.I. 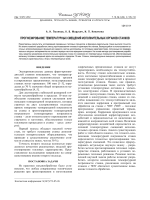 Kopilov et al., Minsk: Science and Engineering (Nauka i Tekhnika), – 1994. – 232 p. (in Russian). 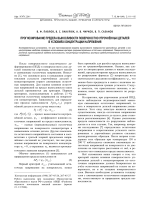 Severe Plastic Deformation”, 2000, Logos Pub., Moscow, 272 p. (in Russian). 3. Screw extrusion – strain accumulation process/ J.E. Beigelzimer, V.N. 4. Nosova N.I. Submicrostructural and nanostructural metals and alloys/ N.I. 5. 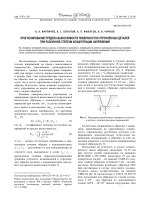 Andrievsky R.A. Nanostructured materials/ R.A. Andrievsky, A.V. Ragulya. 398 p., ill. (in Russian). davlenij) (2004) V., 15. 1. 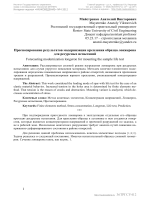 P.72–80 (in Russian). Pressure (Kuznechno-shtampovochnoe proizvodsctvo. Obrabotka materialov davleniem), 2009, 6. P. 3–7. Mashinostroenie Pub., 1968. – 272 p. Pub., 1970. – 229 p.
Ekaterinburg: Pub. of Ural State Technical University-Ural Polytechnic Institute, 2001. 836 p.
Metals Failure// Forging and Stamping Production. (Kuznechnoshtampovochnoe proizvodsctvo. ), 2003, 2. P. 4–16. i metallovedinie). 1972, V.33, 6. p.1322–1334. 18. Strength and Plasticity of Solids at high Pressures/ B.I. Beresnev, E.D. Martinov, K.P. Rodionov et al., Moscow, Nauka Pub., 1970. 62 p.
21. Ogorodnikov V.A. Evaluation of Metals Deformability at Pressure Shaping. – Kiev, Visch.Sh. Pub., 1983. – 175p. 22. Cockcroft M. G., Latham, D. J. Ductility and Workability of metals // J. Inst. 23. Kalpin Yu.G., Philipov Y.K., Bezzubov N.N. 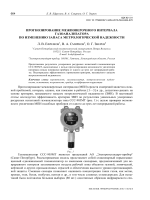 Evaluation of Metals Deformability at Cold Massive Forging// VNIITEMR.– 1988. Part 3, 10. – P.1–7. 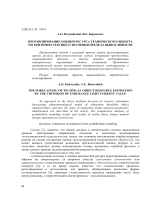 guide for high schools, Yekaterinburg, SEI HPE USTU-UPI, 2002, 329 p.
Model.// Materials Defamation and Damage. 2011. 7. P. 17–22. 31. License. P. C. SFTS. Key#9190/ Ufa, Russia. proizvodsctvo. Obrabotka materialov davleniem), 2003, 3. P. 39–14.